Birthday activities are where we shine. Birthdays can be celebrated for kids, for juniors, for teens, for adults and for the middle aged, each category needing creative expertise and genius to come up with something unique. Go all out and host a birthday party at home or at a specially selected venue. We have a complete basket of birthday ideas that will keep celebrations red hot throughout. Our services cover decorations, accessories and games, balloon decorations, fireworks, entertainers, DJ, lights, photography, magic shows, candles, cakes and more. Whether it is kids’ birthdays or adults’ celebrations, whether you want a simple one with birthday cakes and standard celebrations or a truly funky no-holds barred party, trust us to make it a high octane party with birthday activities that will keep everyone busily and happily engaged. There is zing and spice in celebrations with wowtheparty in charge of your enjoyment. Founded by a group of enthusiastic and dynamic entrepreneurs with experience in event and media, Wowtheparty brings a verve and panache to parties and celebrations across North India with a special focus on Delhi, NCR and NOIDA. Delhi is a very happening place and today we see more and more people making a effort to raise celebrations beyond normal levels. This is where we come in with our expertise in event management and execution. We believe life itself is a celebration. Wowtheparty works as a team. We have sheer geniuses on our team who can innovate and transform each event into something extraordinary and sublime. Today we have achieved a leading position as premier event planners and organizers in North India for corporate events, weddings, kids parties, birthday parties, picnics and special occasions. When we take on an event, it is a challenge and an opportunity to showcase our special talents and we go the extra mile and beyond. We provide full services, acting as a one stop source for all event planning, organization and execution and clients have peace of mind knowing everything will go off as planned and expected. We imagine; we create; we make the magic happen. We are flexible. We listen to our clients. We understand their needs and our team comes up with several options for the event and clients and helps them choose the best. 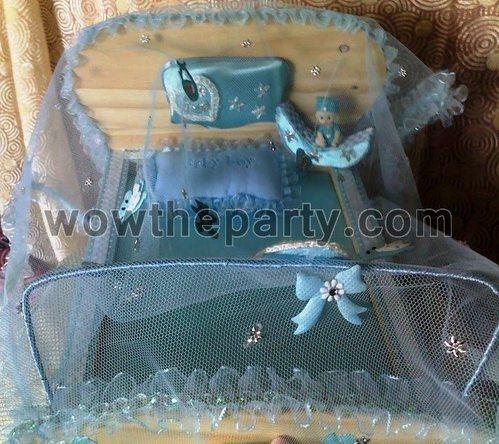 Wowtheparty.com believes in working within budgets yet delivering the highest in quality output. We bring you the best of an entertainment packed evening, full of hours of joy and emotions, a happening, happy time that you wish would go on and on. We are passionate about celebrations and welcome you to discuss your needs and see the world of difference we make to your events.